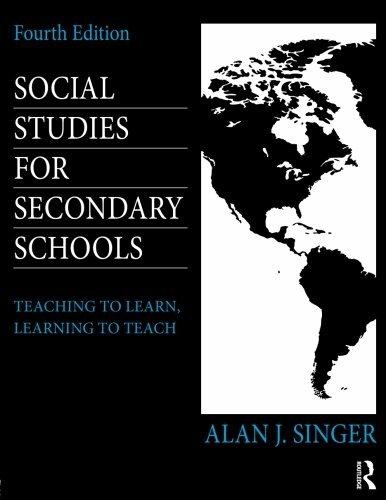 Now in its 4th edition, this popular text for secondary social studies methods courses integrates discussions of educational goals and the nature of history and social studies with ideas for organizing social studies curricula, units, lessons, projects, and activities. A major theme throughout is that what teachers choose to teach and the way they teach reflect their broader understanding of society, history, and the purpose of social studies education. Advocating an inquiry and activity-based view of social studies teaching that respects the points of view of students and teachers, and based in practice and experience, it offers systematic support and open, honest advice for new teachers. Each chapter addresses a broad question about social studies education; sub-chapters begin with narrower questions that direct attention to specific educational issues. Lesson ideas and materials in the book and online are especially designed to help new teachers to address common core learning standards, to work in inclusive settings, and to promote literacy and the use of technology in social studies classrooms. Chapters include highlighted Learning Activities, Teaching Activities, nd Classroom Activities designed to provoke discussion and illustrate different approaches to teaching social studies, and conclude with recommendations for further reading and links to on-line essays about related social studies topics. Activities are followed by four categories: “Think it over,” “Add your voice to the discussion,” “Try it yourself,” and “It’s your classroom.” All of these are supported with online teaching material. Designed for undergraduate and graduate pre-service social studies methods courses, this text is also useful for in-service training programs, as a reference for new social studies teachers, and as a resource for experienced social studies educators who are engaged in rethinking their teaching practice.